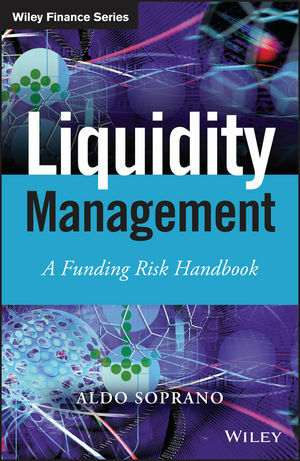 Liquidity Management applies current risk management theory, techniques, and processes to liquidity risk control and management to help organizations prepare in case of future economic crisis and changing regulatory framework. Based on extensive research conducted on banks' datasets, this book addresses the practical challenges and critical issues that frequently go unmentioned, and discusses the recent impact of sovereign crises on banks' liquidity processes and approaches. Market practices and regulatory stances are reviewed and compared to bank treasuries' response to liquidity crunches, refinancing risks are explored in the context of Basel 3, and alternative funding is analyzed in terms of resilience and allocation. Coverage includes the recent crisis, new regulations, and the techniques, processes, and strategies banks use in managing liquidity risk. The 2008 and 2010 crises brought liquidity risk out of the shadows as even profitable and well-capitalized banks were swept away with breathtaking speed. This book reviews modeling and internal process design in the context of the structural change in market conditions on banks' refinancing and control requirements, helping readers rethink and re-design their organization's approach to liquidity risk. With much of the world still reeling from history, it's important that liquidity risk become a major focus going forward. This practical guide provides valuable information, but also real, actionable steps that can be taken today to forecast and mitigate risks with an eye toward greater stability and security. Liquidity Management is a thorough, comprehensive guide to a more robust management of liquidity risk. ALDO SOPRANO is Head of Group Price Control at Unicredit and prior to that was in charge of Short Term Liquidity Risks and Operational Risk Management. He worked at Barclays Capital in London, served on the board of Pioneer Alternative Investments and Chaired the IIF working group on operational risks and is Board member of UniCredit Bank Ireland. He is the author of articles on risk management and presents at international conferences.